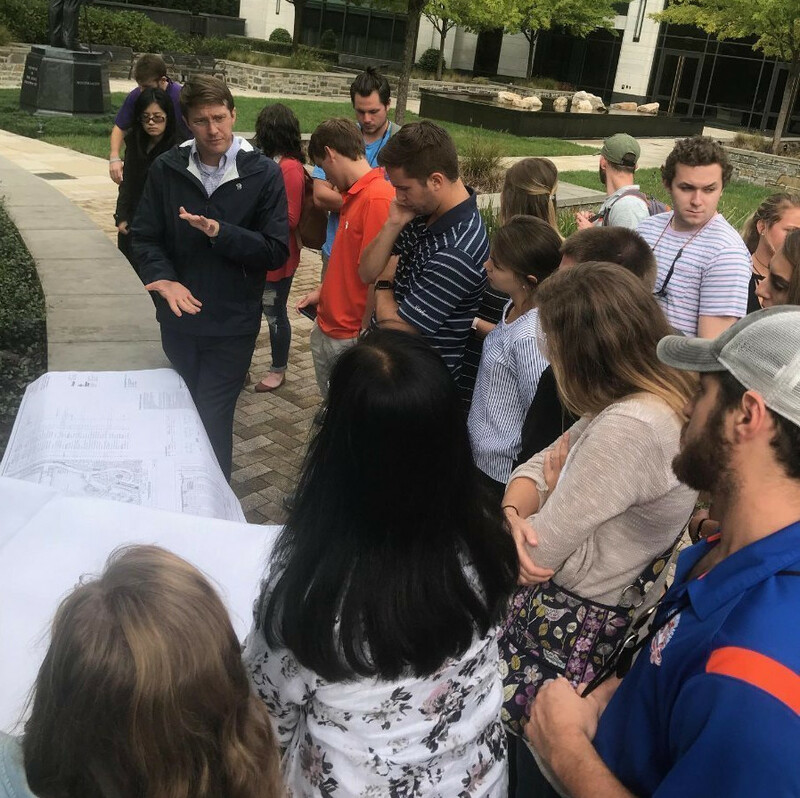 We are thrilled to be hosting Landscape Architecture students from Clemson University at our Charlotte office today. The students are touring several local projects of ours, including The Duke Endowment, Bearden Promenade, and First Ward Park. We think these visits offer invaluable experience and exposure for the Landscape Architecture students. It’s also a great opportunity for the students to potentially make connections and pursue internship options. The students enjoyed touring the Duke Endowment, Bearden Promenade, and First Ward Park. Completed in the spring of 2016, First Ward Park recently received the Project Recognition Award. First Ward park is encircled by nearly a quarter mile of walking paths that wind through a variety of public-use park spaces. ColeJenest & Stone is passionate about park and greenway design and dedicated to a set of strong guiding principles developed over the past 30 years. We believe successful public park design is an economic-driver that creates destinations as well as positive transitions to every surrounding land use. Showing off this project to the Clemson students was definitely a highlight of their visit.